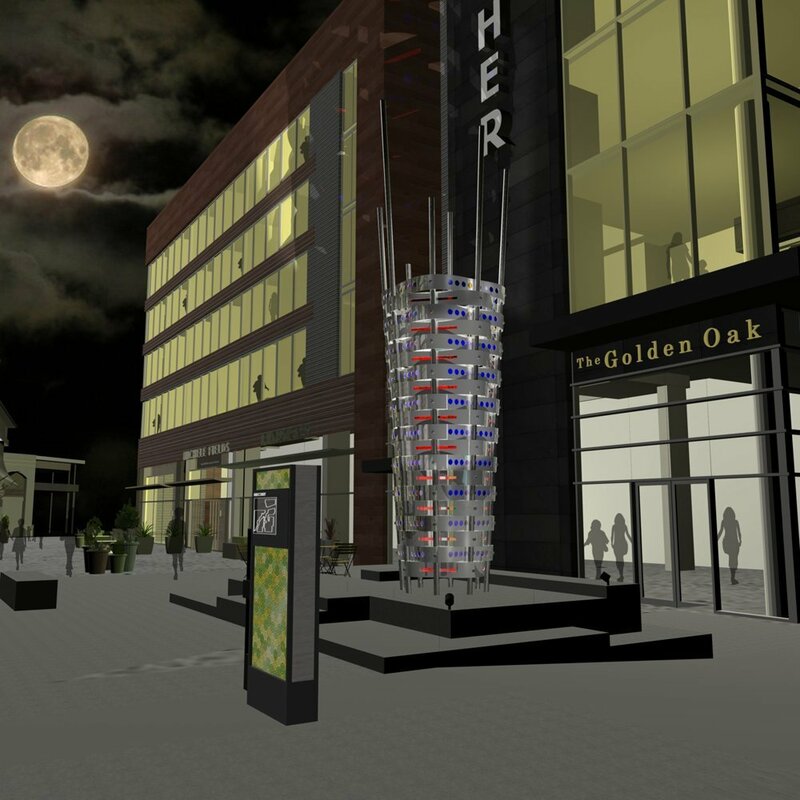 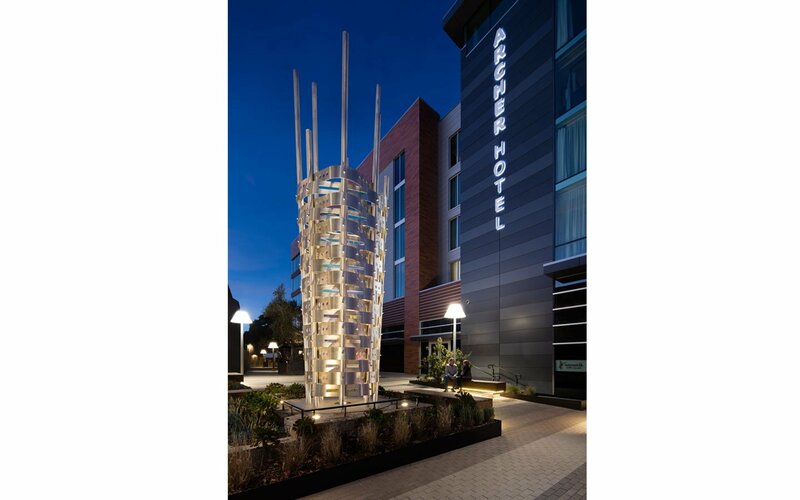 Gordon was commissioned to create The Basket, an exterior artwork and that serves as a focal point and way-finding element for the entrance of the Archer hotel. 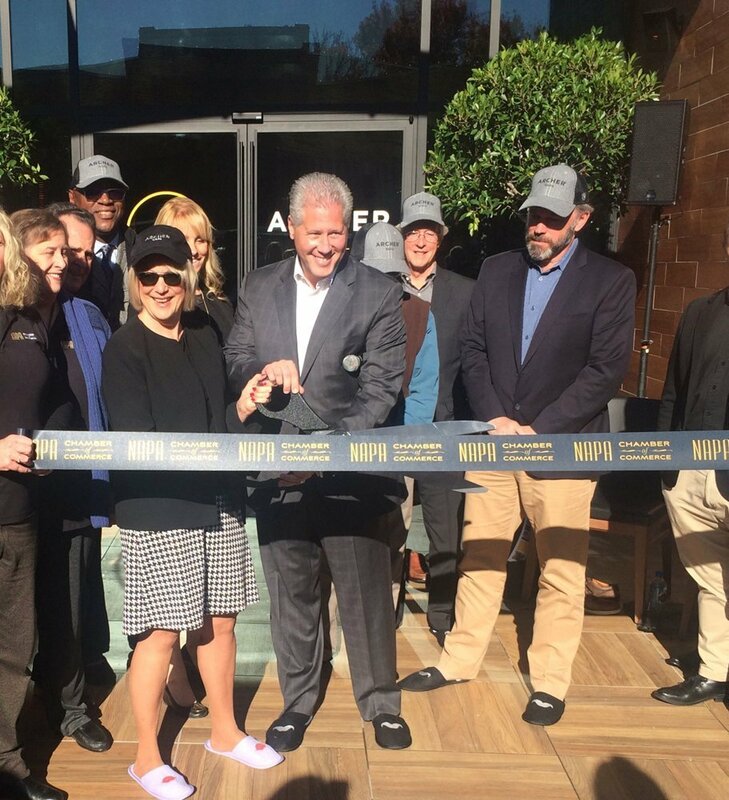 The hotel, which serves as an anchor for the First Street Napa development, officially opened its doors in November 2017. 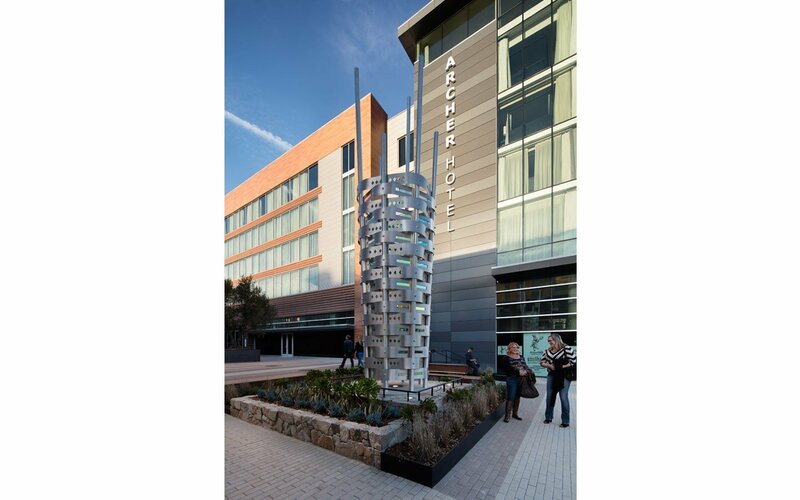 The hotel’s architecture incorporates materials, colors and textures that can be found throughout the Napa Valley, in juxtaposition with modern lines, simple forms and contemporary materials. 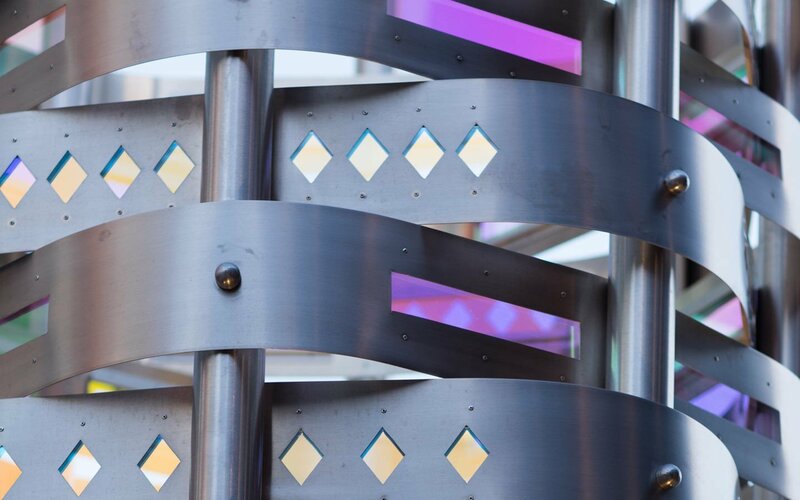 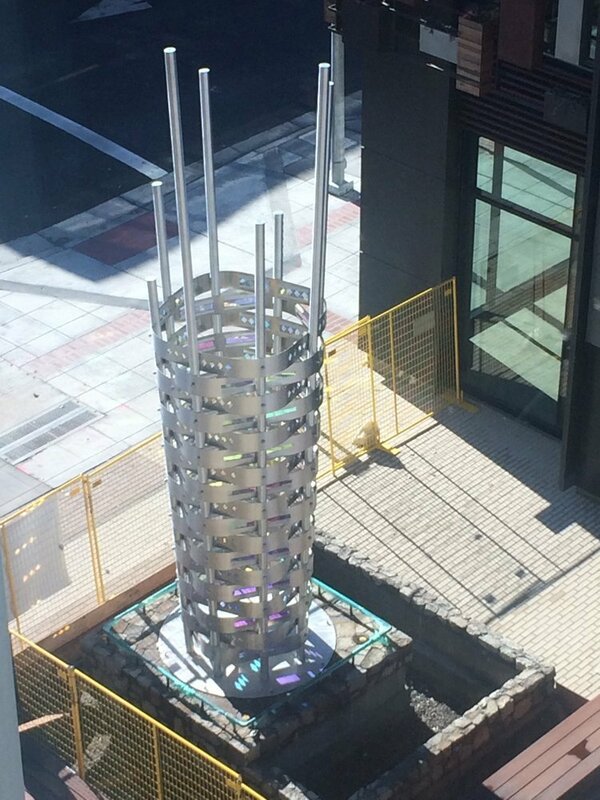 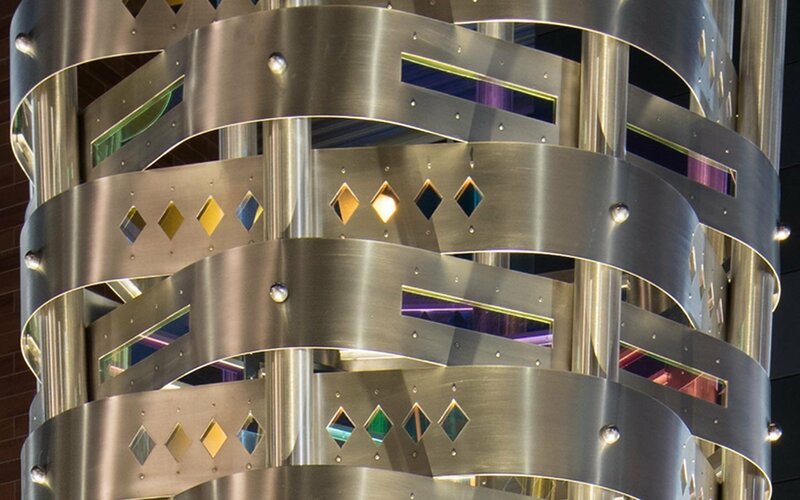 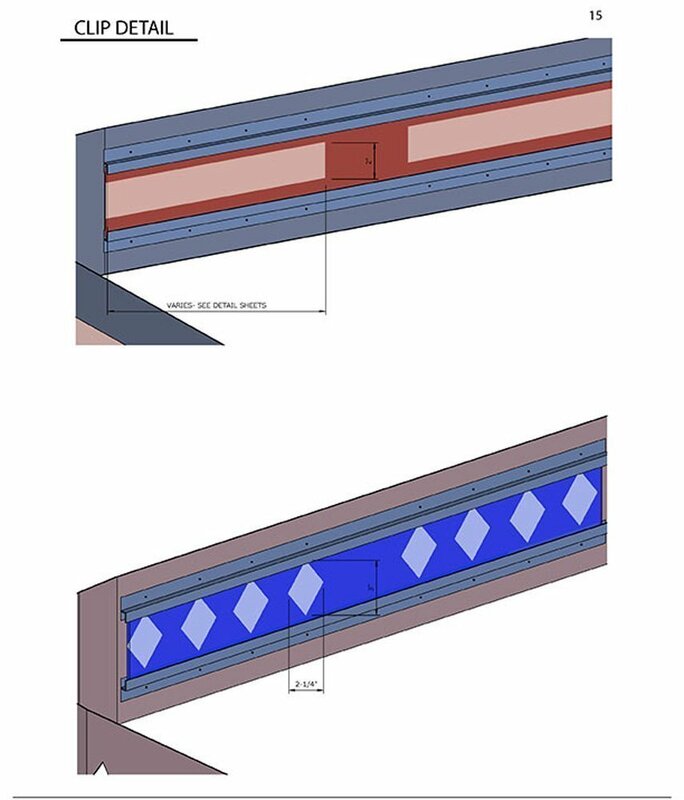 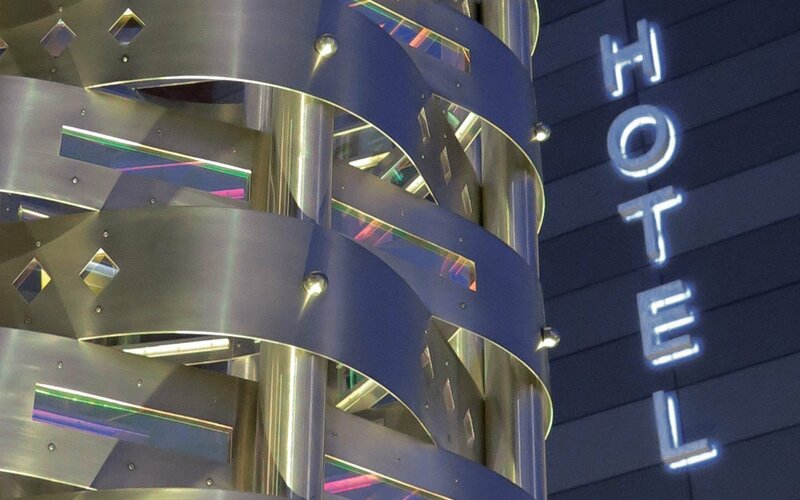 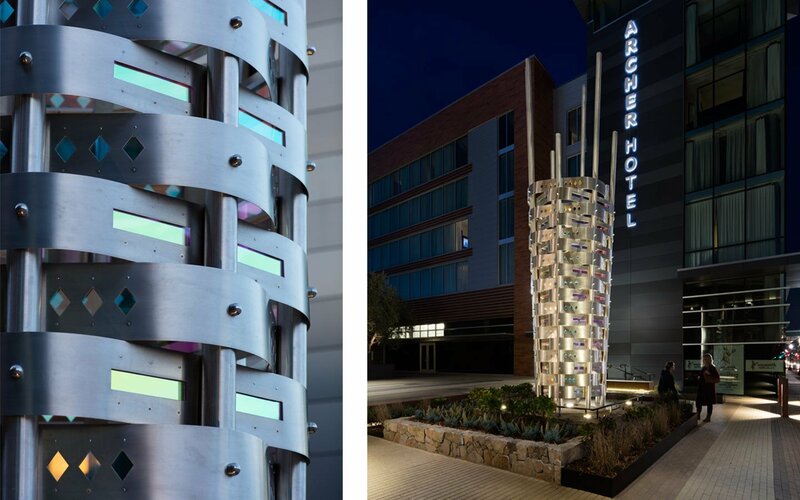 Huether took inspirational cues from the hotel’s strong emphasis on horizontal surfaces when conceptualizing the 22-foot sculpture, incorporating horizontal woven aluminum bands and inset dichroic glass panels. 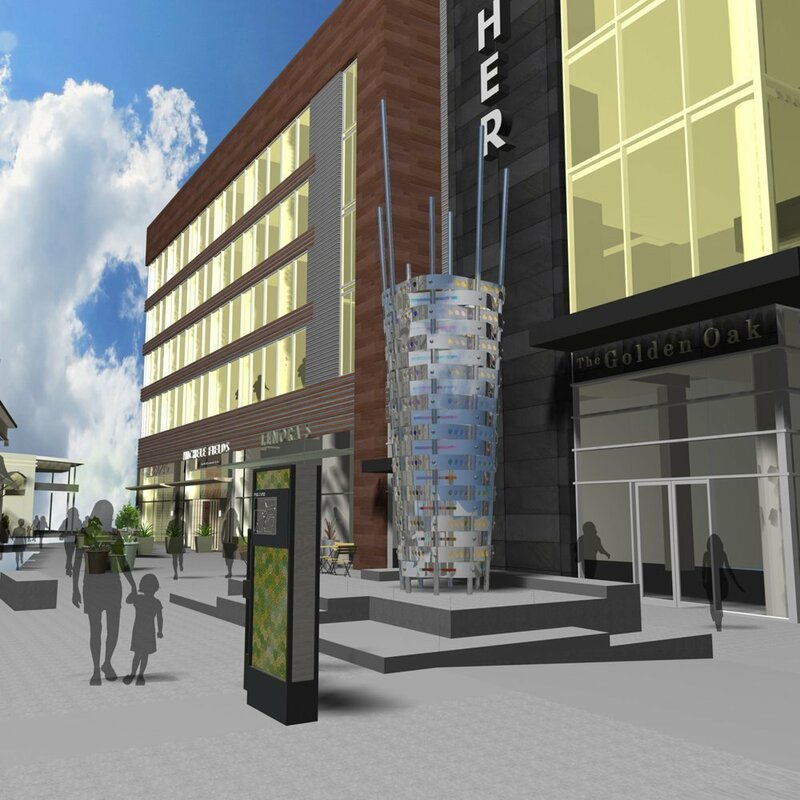 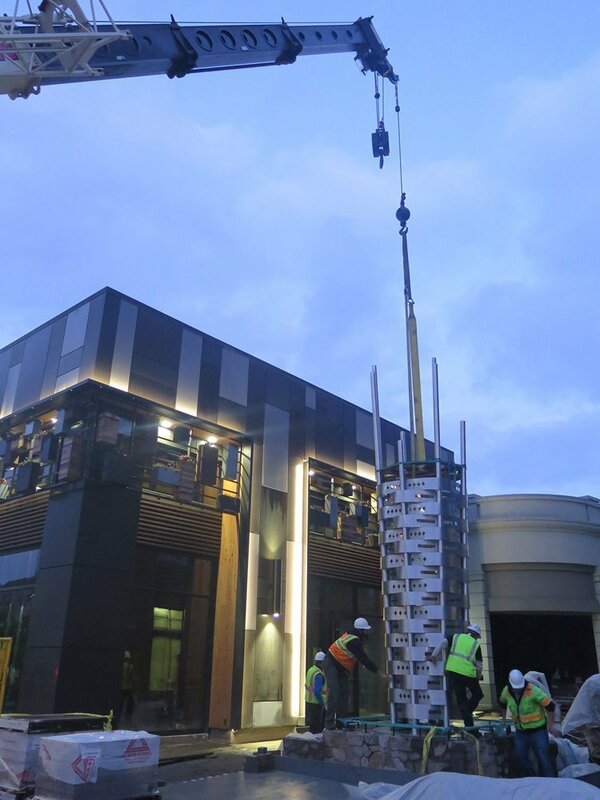 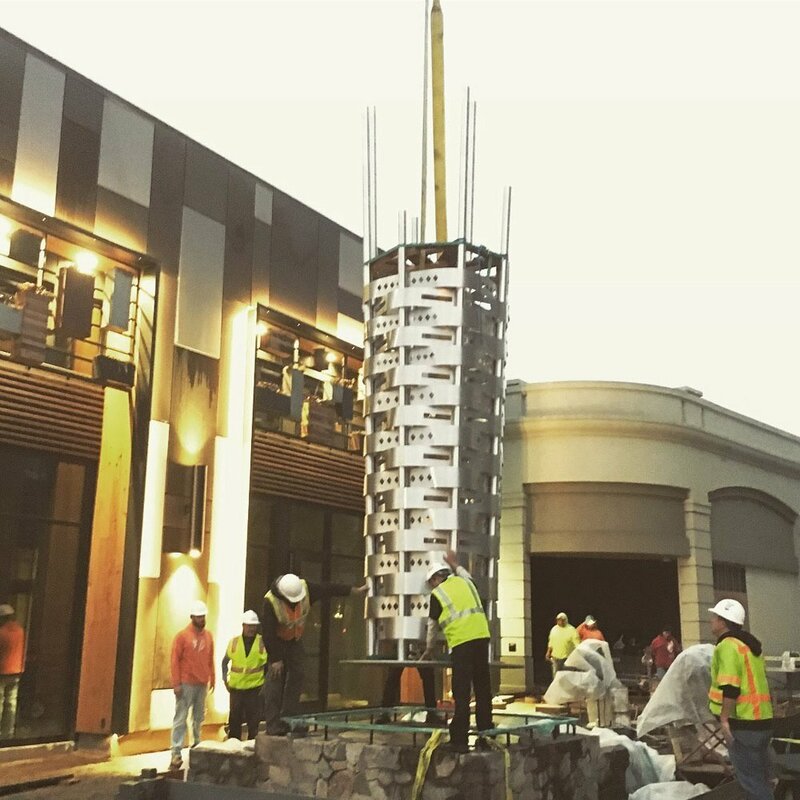 The result is in an iconic gateway for First Street Napa. 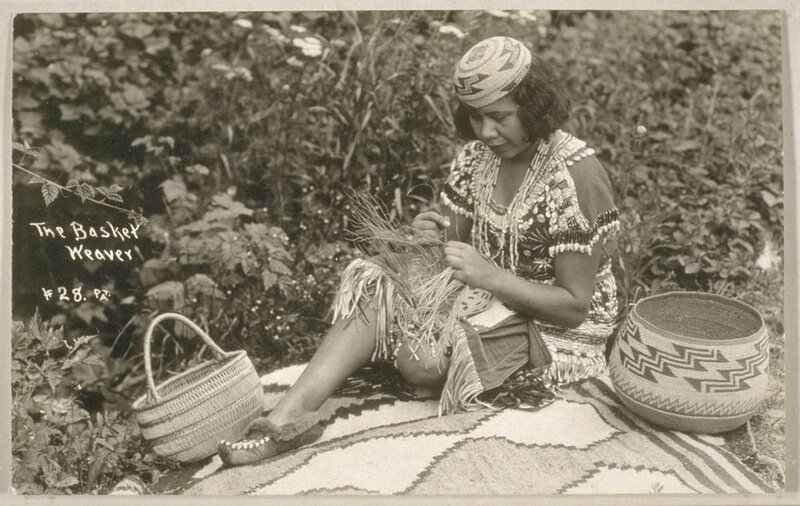 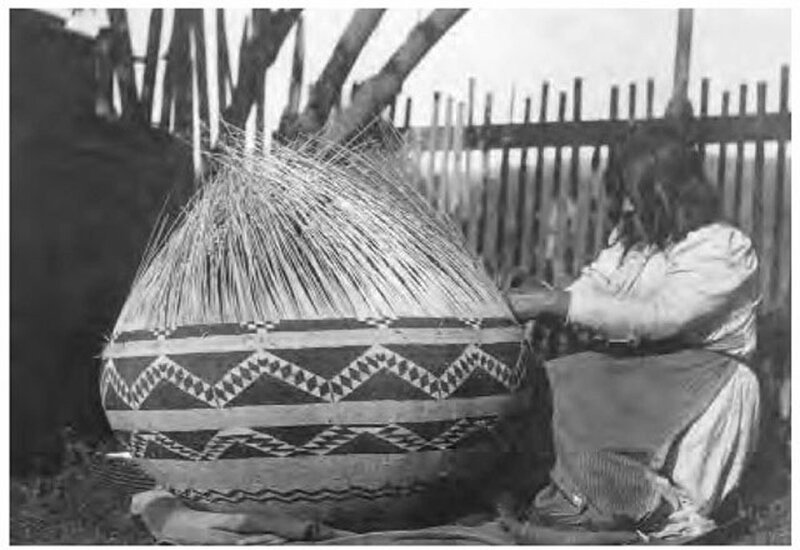 The indigenous peoples of Napa Valley who were known for the artistry of their basketry inspired the concept for The Basket. 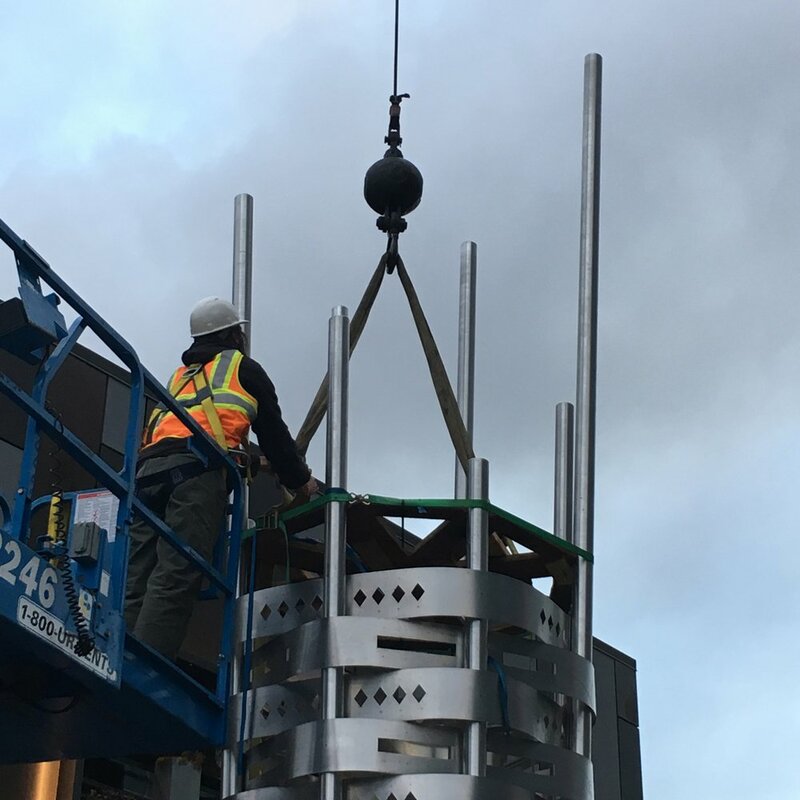 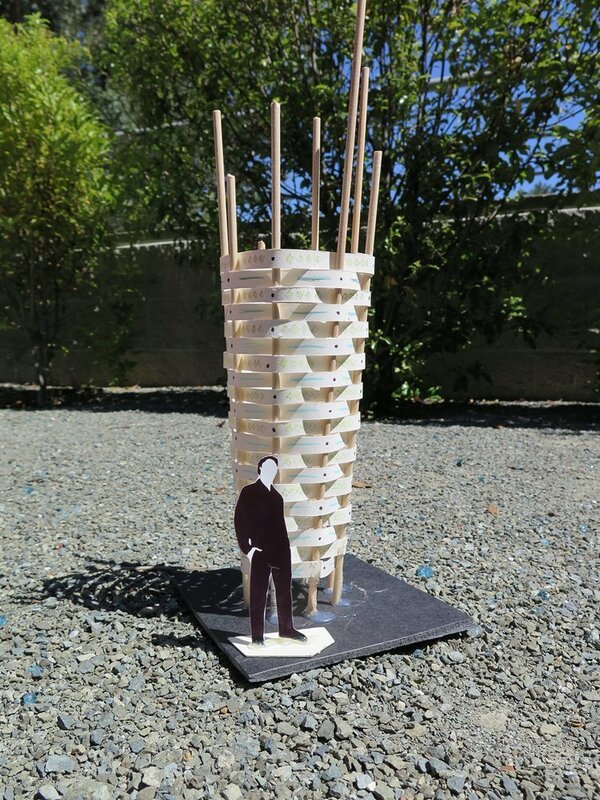 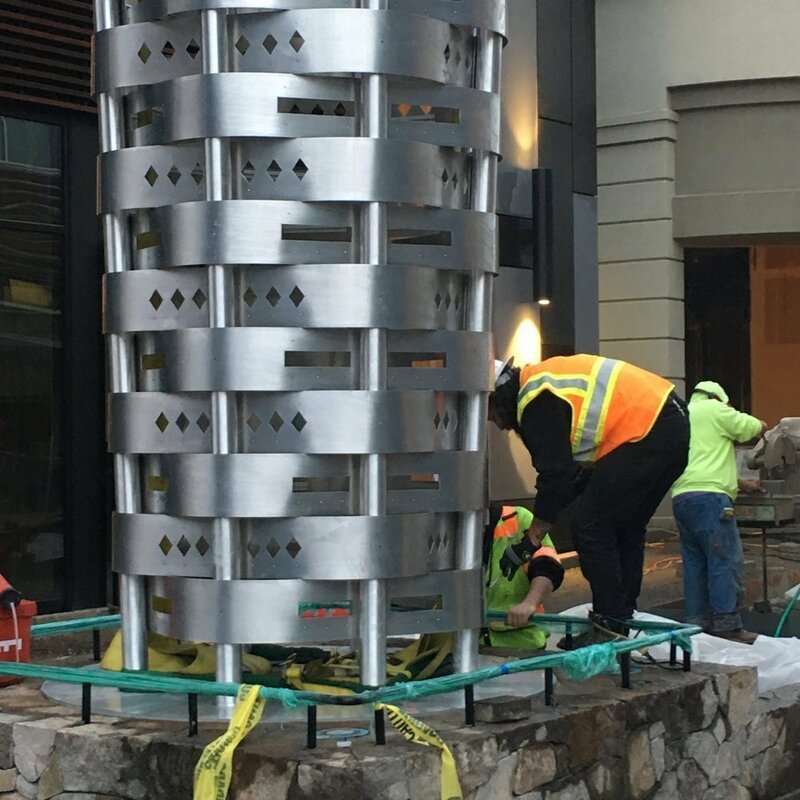 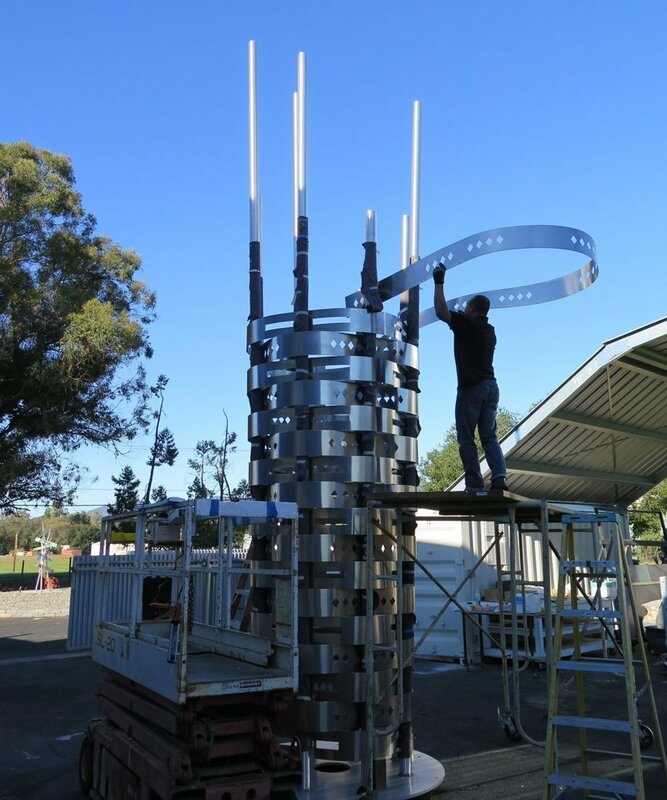 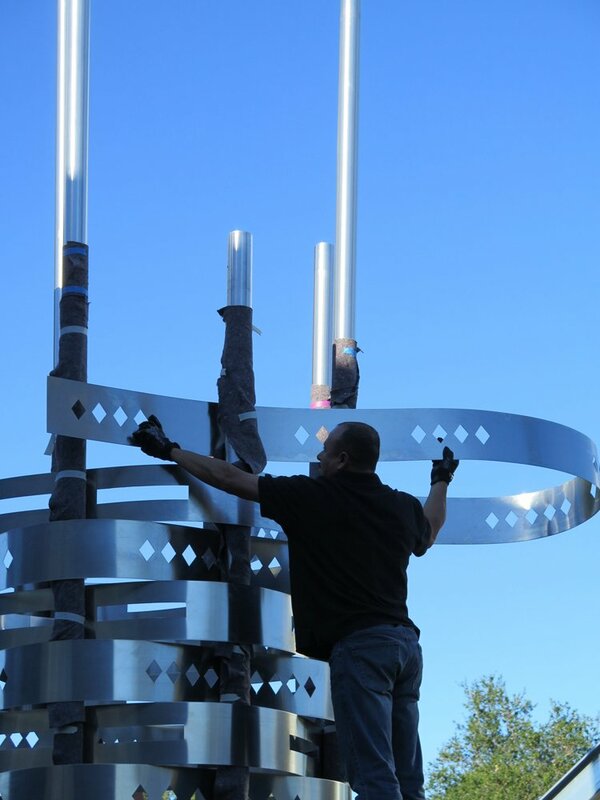 Gordon’s intent was to honor and remember these artisans with the sculpture’s basket design, while integrating broader, fundamental human themes, such as the Napa community’s shared values and the interwoven experiences of an interdependent community. 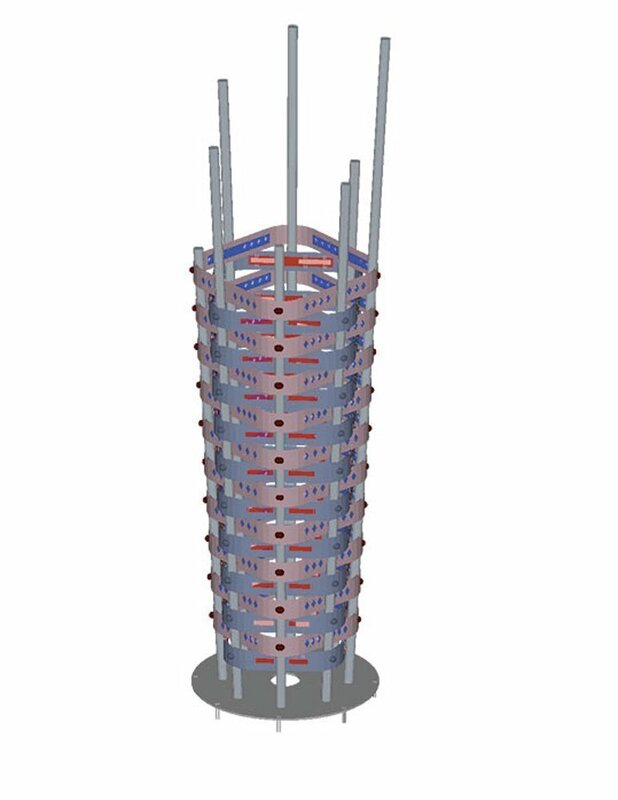 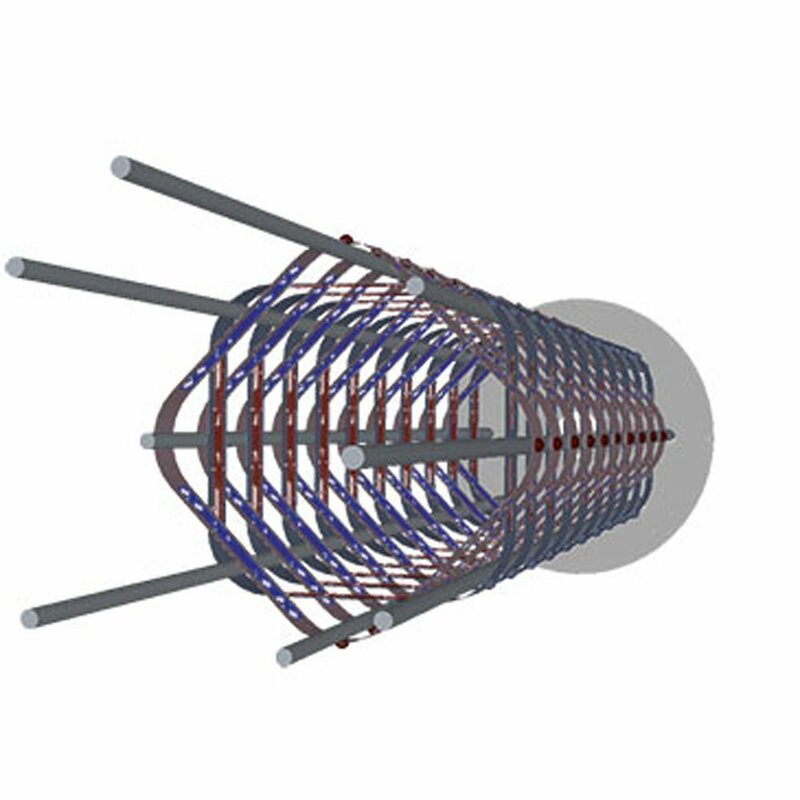 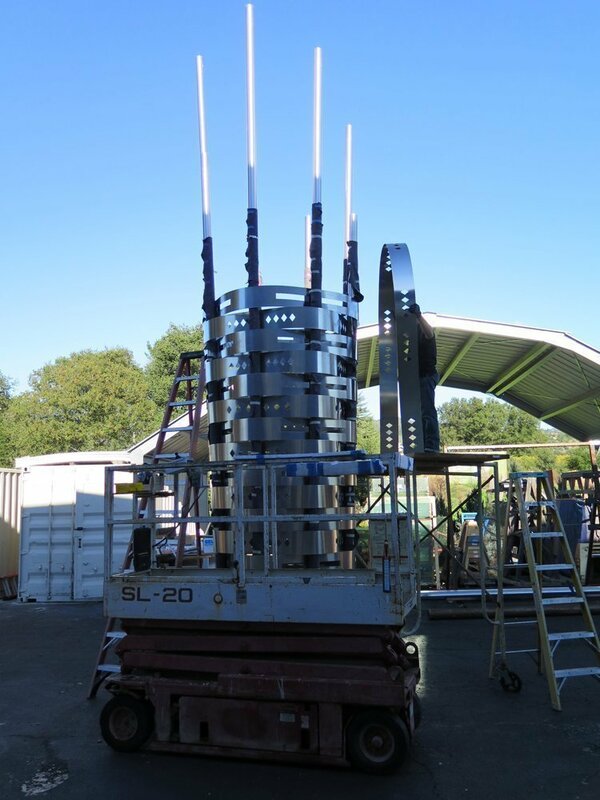 The Basket was deliberately left “unfinished” — the horizontal bands do not reach the top of the vertical splints. 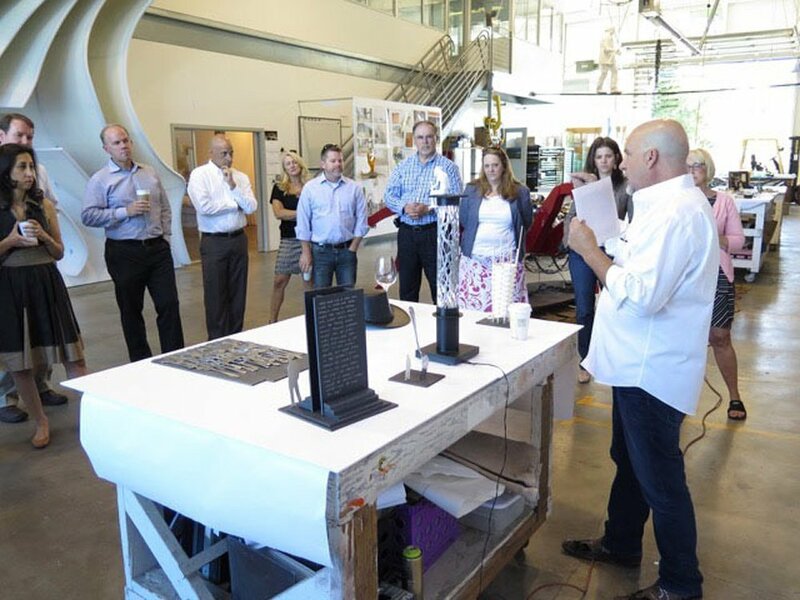 It was Gordon’s intent to acknowledge that a community is never complete or “finished” and that Napa is a constantly evolving community, never stagnant and always dynamic, while acknowledging and honoring the valley’s past, present and future. 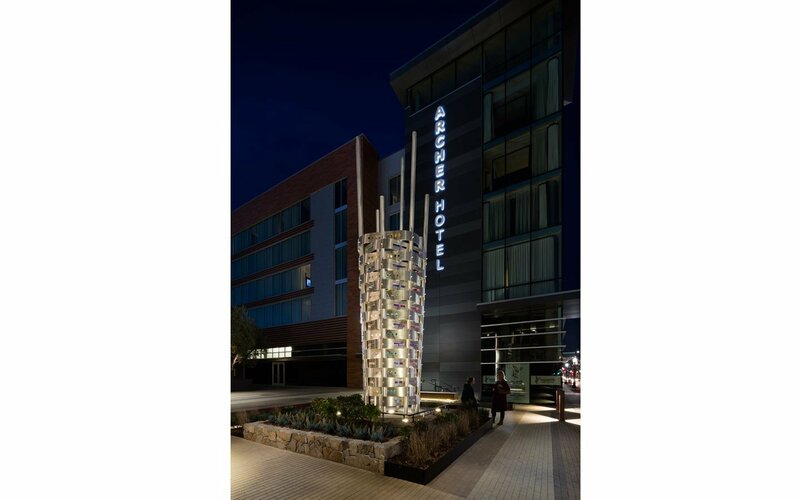 Illuminated at night, the sculpture enlivens the scene for visitors taking advantage of all that the City of Napa offers.